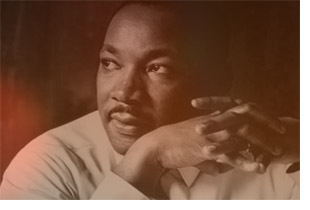 To celebrate Dr. Martin Luther King’s birthday we have added gospel music and remastered one of the Best of MissionCasts. The MissionCast highlights the annual poor people’s breakfast offered to in the Columbia Community on Dr. King’s birthday. This Best of MissionCast is also offered as a tribute to Council Woman Almeta Clayton, a tireless worker for justice, who passed away this past year. 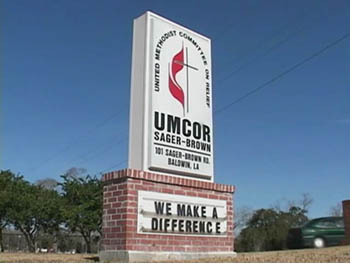 If your congregation honors Dr. King’s birthday by reaching out to the community each year let us know about it so we can highlight your event in MissionCast next year. Contact Max Marble at marblelcmc@gmail.com. 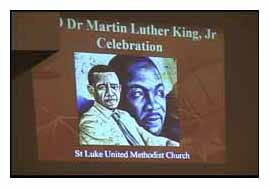 During February, United Methodist Churches across the country celebrate Black History Month in one form or another.Â On February 8th MissionCast was at St. James United Methodist Church, in Kansas City where we visited with Lay Leader Franklin Walker who also serves as chairperson of the Missouri Conference Creative Ministries Team.Â This 3 minute MissionCast opens with Franklin sharing how Black History month is celebrated at St. James.Â What follow is a collage of the second morning worship service with an emphasis on those pieces of the service that lifted up Black History Month.Â The pastoral staff at St. James United Methodist Church includes co-pastors Rev. Emanuel Cleaver, II and Rev. Emanuel Cleaver, III, Rev. Richard Vogel, Rev. John Macklin and Rev. 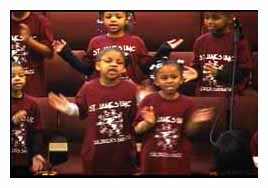 Laurice Valentine.Â St. James is one of the largest churches in the Missouri Conference. St. Luke United Methodist Church does not “take the day off” on our country’s national Dr. Martin Luther King, Jr. holiday.Â The congregation feeds people in one way or another all day long.Â MissionCast was on hand this past week to share with you just how they celebrate.To View MissionCast click on the picture or on one of the links below.Download the High resolution video to project on a screen during worship or at a meeting.